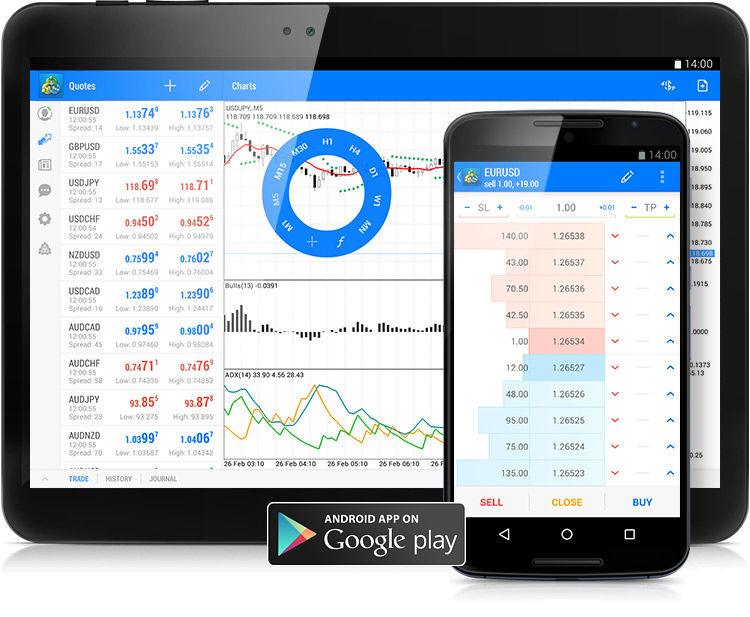 Mobile trading in MetaTrader 5 — Cryptocurrencies, Forex, stocks, futures and CFDs can be traded anytime and anywhere. 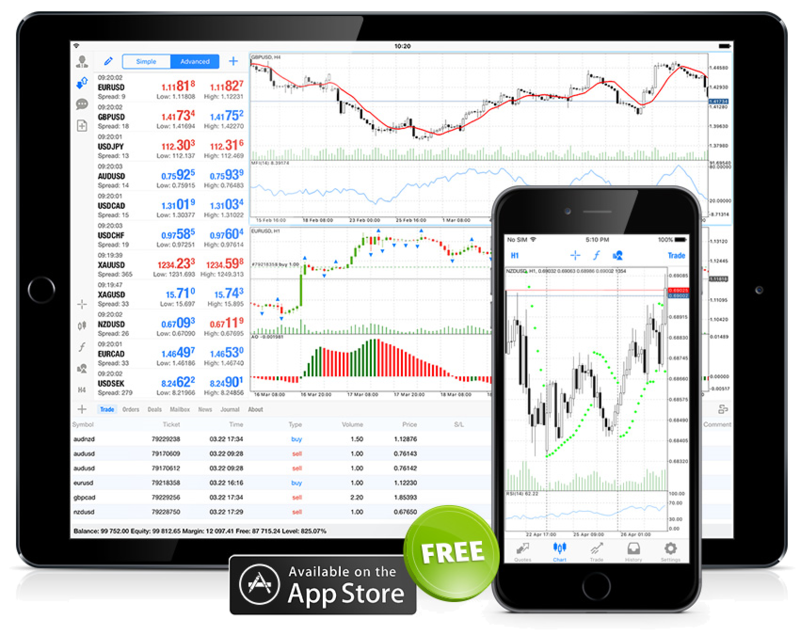 The installation of MetaTrader 5 for iOS or Android on your smartphone or tablet allows you to stay informed with financial information and conduct trade operations in financial markets 24 hours a day. The rich functionality of the MetaTrader 5 Trading Platform now fits in your hand! The powerful MetaTrader 5 iOS trading system allows you to implement trading strategies of any level of complexity. You can trade on exchanges using the netting position accounting system while you can use the hedging system for Forex trading. The application supports the complete set of orders and trading functions. Market and limit orders can be placed both from Market Watch (the Trade window) and from Market Depth (Level 2, order book). A combination of Market Depth and One Click Trading (in the version for iPad) provides an extremely powerful scalping tool allowing you to place orders, as well as to modify and close them with a single tap. Using the Take Profit and Stop Loss orders, you can close a position with a profit or minimize losses in any market situation. Details of all open trade positions and pending orders can be found on the Trade window. The History window provides quick access to information about all executed trades. In addition to trading options, MetaTrader 5 for iPhone/iPad features cutting-edge tools for the on-the-go quote analysis. The core of the technical analysis is the interactive chart feature including the zoom and scale options. The application supports three types of charts: bars, candlesticks and lines. With such a variety of visualization options, traders can efficiently define and analyze any market trend. For a comprehensive price analysis, you can choose from 30 technical indicators and 24 analytical objects, which include lines, channels, geometric shapes, as well as Gann, Fibonacci and Elliott tools. Indicators and objects are provided with customizable color schemes and can be applied on charts or added in other indicator windows. The application is free of charge. Download MetaTrader 5 for iPhone/iPad on the AppStore, connect to your trading account or open a new account, and enjoy all the advantages of the mobile trading.